Early on this morning it was the announcement which most High Street store‘s love to own about how they have done through the past year of seeing where they come within the shopping world. "The supermarkets took stuff off our high streets and we as consumers went for what we thought were value; it was just cheap. In the process we lost a sense of belonging and of community. I'm fighting to have that changed. We need a new infrastructure to define a new high street." The awards were handed out to the winners this morning which was presented and live on the ITV 1 morning show Lorraine. 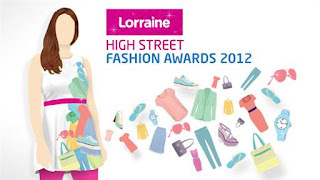 The Lorraine show has a developed a sense representation for these awards as part of the British High Street, over the past few years since the launch of these awards.